to learn how to balance the bike, my dad would tweak the bike and bent the training wheels so it doesn't often touches the ground. It did help me learn how to balance and rely only on the two main wheels... all the balancers were removed when I was able to balance the bike properly. I wasn't satisfied that yet, at the age of 9, I wanted to try my father's bicycle. It was a BMX bike with 20 inch wheels, Tractor Grip Tires and Stainless Steel Tubes... and yes it was custom made by the late local bike builder, "Nonet". As I remembered, my father often told me that it was heavier than my 12 incher, and I will have to get training wheels again. Of course I didn't back down from this challenge. And after a few months, the training wheels were off. During this time, Mountainbiking in the Philippines just made its first scene in the early 1990's. 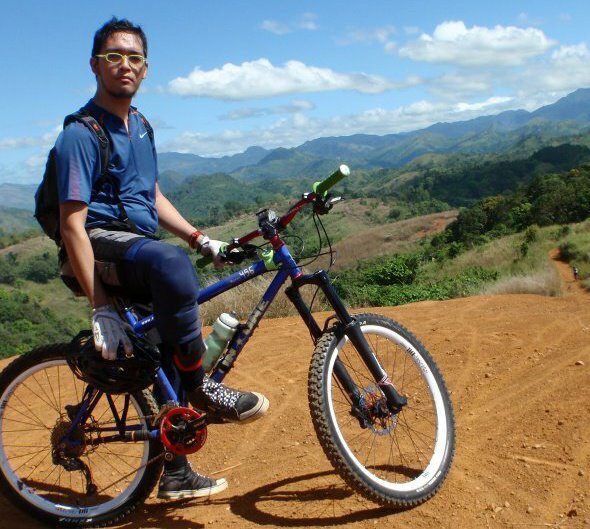 By 1996, my father got into mountainbiking, though trails weren't existent during this era, Filipinos considered multi-terrain touring as mountainbiking. Every after my father's ride with my uncle during Saturday mornings, he would come home with a wide smile on his face and he would share his sojourns to me. It got my interest shooting and skyrocketing. 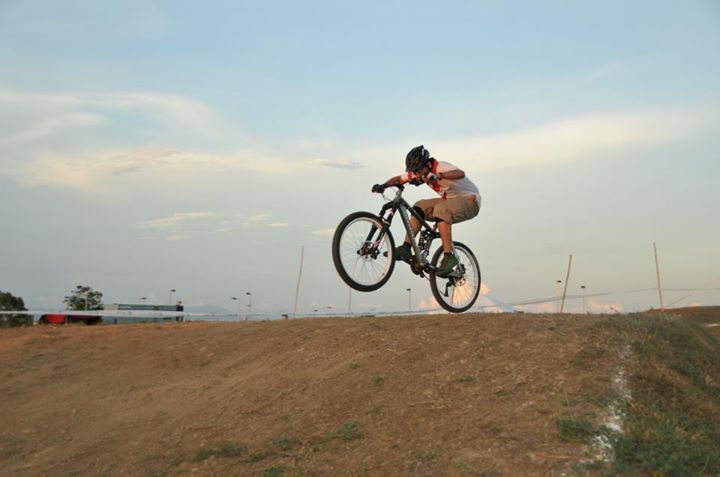 One saturday, I tailed my father to where he was going, but with a single-speed bmx, I wasn't able to catch-up or even reach 500 meters. My father noticed that I kept on doing this weekily, and he converted the BMX to run a 5-speed cassette for me to catch-up and be able to do my own travels. 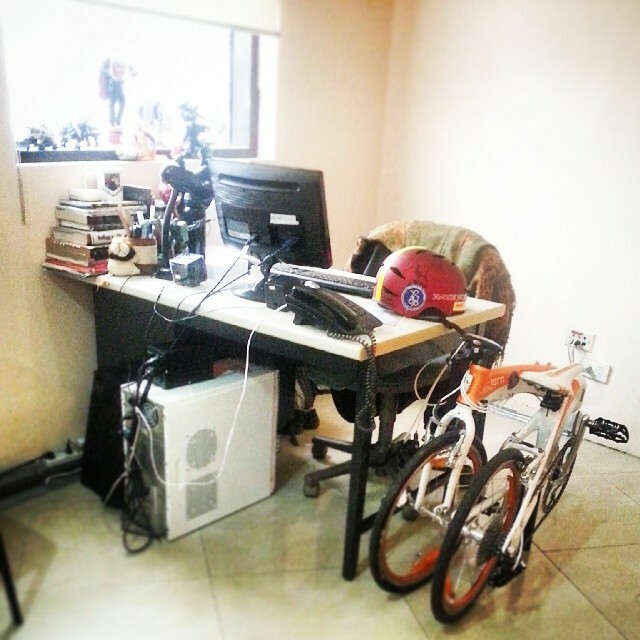 I kept on my biking and biking till the year 2000, in which with my studies my attention was divided. Fast forward into the late 2000's After graduating from college in back in 2008, I played airsoft for a while... but it didn't last long... because a year later I had this sudden itch... my body was yearning to get out and pedal. I remember it like it was just yesterday... April 18, 2009... I decided to get out and try biking again. Dad's MTB was framed on the wall of our garage and was gathering lots of rust. So I decided to take it out for a spin... unluckily I made a very wrong mistake of taking the bike out for a spin without even overhauling it. Because of the years that it has seen the light of day, and it was gathering dust and rust... I encountered two flats, a broken chain and a decaying front tire (humidity is to blame). Though I was able to reach my target point 3.7 kms away from my home... which is UP Diliman Campus. 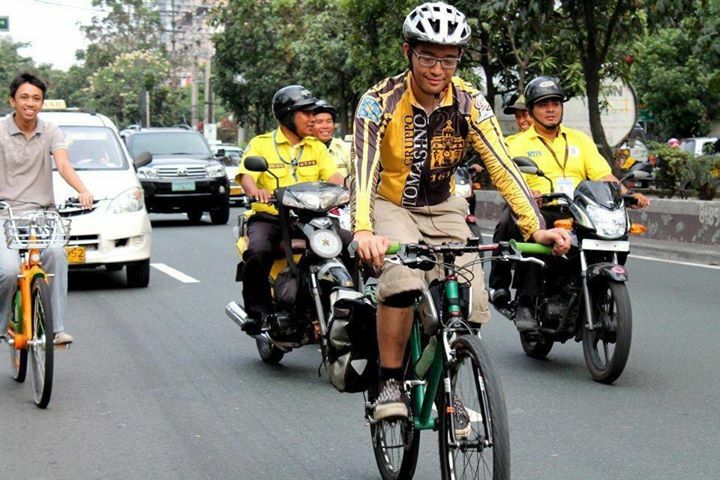 I was then befriended my regular cyclists who came by UP Diliman to cycle. 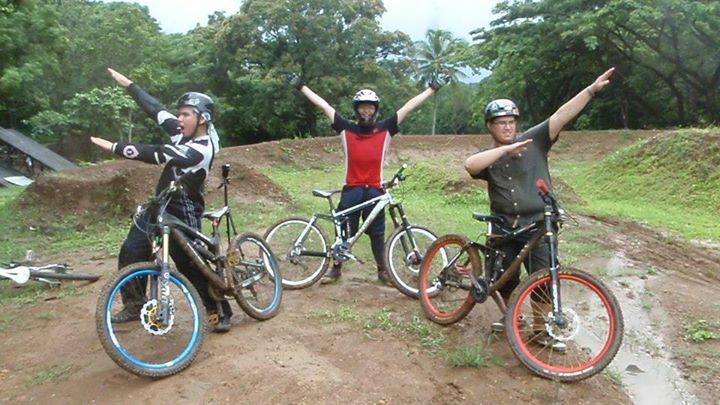 They were my first gurus in cycling, Arvin Macabasco, Onel Carino and Arnold Sanchez. Some weeks later I started joining them, though they frequent longer routes... they gave me newbie routes to practice. Months later, I saved enough money to overhaul dad's old MTB (1991 Diamondback Ascent EX) then I started doing trail riding with newly found friends, from Firefly Brigade (a cycling community in pursuit for road sharing with cyclists) and cyclists who gather around the forum PinoyMTBiker.org or better known as PMTB. We then discovered trails around UP Diliman's campus. 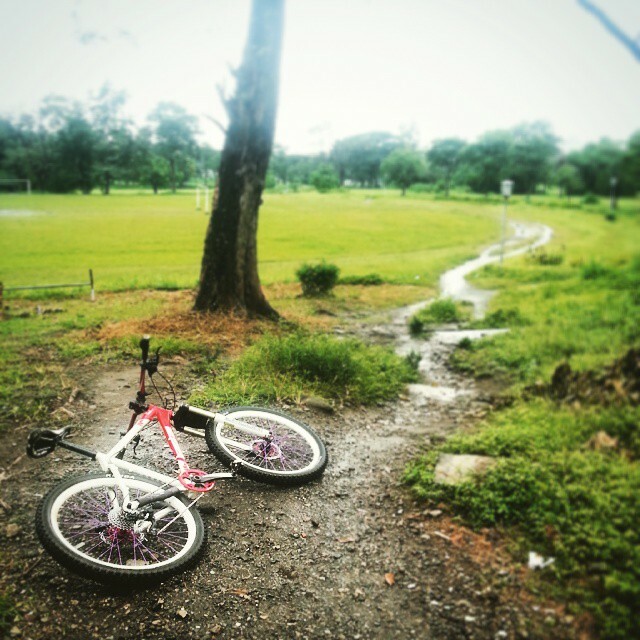 Naming it "UP Diliman Forbidden Trails", reason for its name is because, the trails are off limits to people. Later it was called Trail Mix for some, as it was a mix of different trails either connected by roads or sidewalks. My father, Tony... later found me exploring new places that he hasn't encountered before when he cycled in the 1990's. 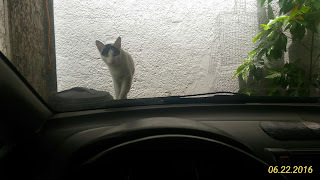 He later joined me, and told me we should purchase new bicycles. With the aging Diamondback that he owned, it wasn't enough for hard riding, as suspension systems were developed already for new bikes. I later tried competing in XC races, it was meant as an stress outlet for me then than a competition, as I lacked the practice... if I was to think of it as a competition I should be doing a training regimen for it. 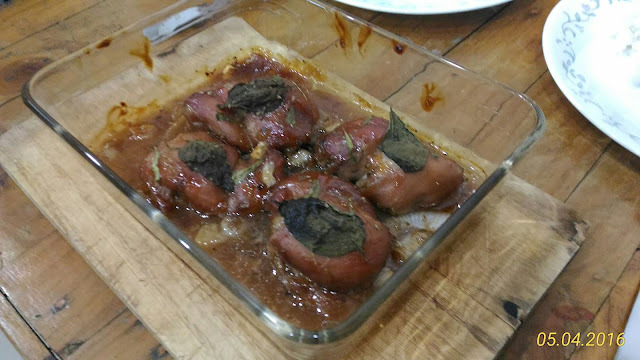 Though I was doing it for the experience and the fun of it. It was only considered as a fun race for me. My first race brought me to the 64th place out of 137 cyclists... not bad for a first timer in the 21-30 category. Away from the races, my father and I started cycling together, and conquered mountains on our bikes from Mt. Maarat's The Wall, Basic, Roxas, Giant, Shotgun... to La Mesa Nature Reserve's Eco Trails.... to far locations in Bulacan such as Dona Remedios Trinidad's Kandila and Bato't Bandera. Seeing new places only to be achieved by riding a bike, was a very rewarding experience for us. As this gave us something to remember and cherish as we age. It also became a benchmark to go even higher or to take it to the next level... for distance or for the height of the climb. 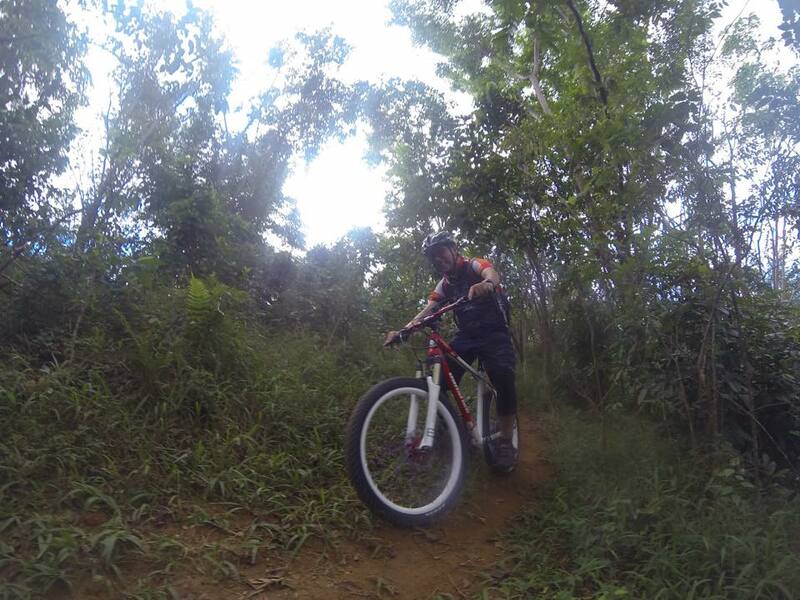 We then tackled things differently, going for long distance multi-terrain touring, from San Jose to Rizal, Nueva Ecija; Kabayo Trails in Subic, Pampanga; Sierra Madre Loop and Reverse Sierra Madre Loop... both which are epic cycling routes totaling to 100 kms. one lap. Then one time back in 2010, we had a plan to do something challenging... we got inspired by a certain individual at forum who did a Manila to Baguio overnight. 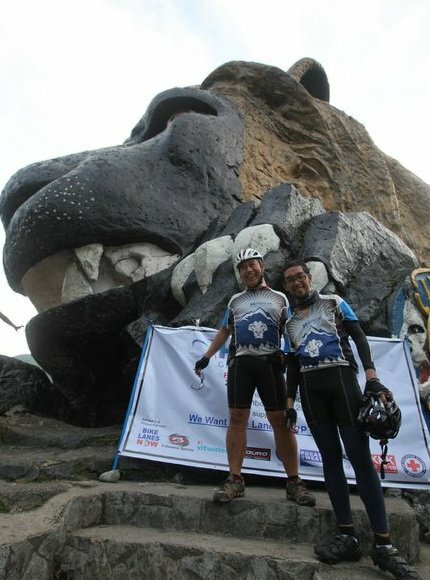 It was 270 kilometer bicycle ride to Baguio and a 270 kilometer back.... it was something beyond what we were doing. It took us weeks and months of practice before we tackled the mountains. 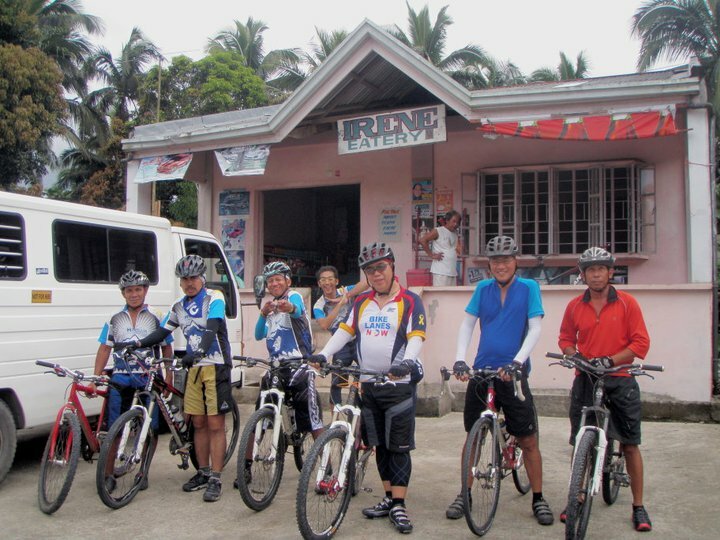 On November 26, 2010 we traveled from Kamuning in Quezon City in a two-day bike ride to the mountain city of Baguio. It was no easy task, as Dad and our fellow team mates were in their 50's to late 70's.... our team was called "Ageless Warriors"
We took long distance cycling seriously, that waking up so early in the morning became a ritual. A cool weather can bring you farther, but a scorching and humid weather can bring you to dehydration. It didn't end there, the team Ageless Warriors didn't just end with Baguio City. 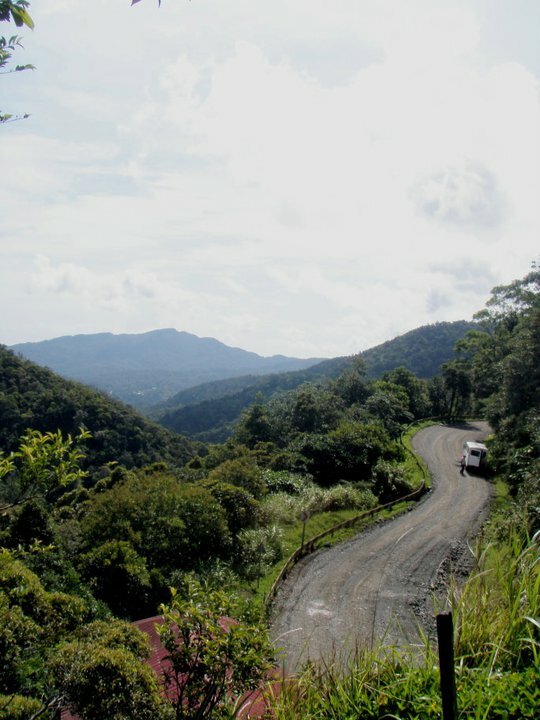 That climb spawned a chain of multiple long distance touring rides, from the usual Sierra Madre Loops to the Laguna de Bay Loop (a 200+ kilometer route with views of the Laguna de Bay). 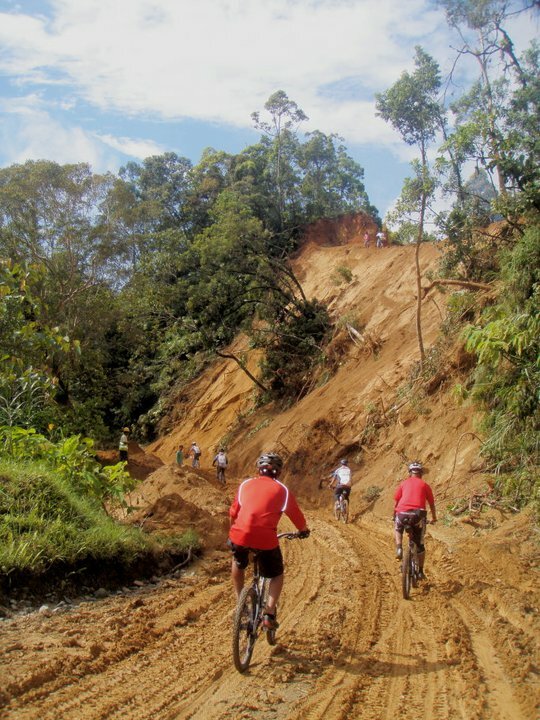 From 2010 to 2011 we tackled more places: it didn't matter if it was pavement or dirt... as long as it can be traveled on... but on September 2011, an event happened costing me to change careers and postpone long distance cycling. I was diagnosed to have a mild seizure disorder... though not catatonic it still proved to be a problem. It was all due work related stress from ad agency work. I was part of the creatives, in charge of creating visual designs and 3-dimensional environment designs then... but a week of sleeplessness brought me to the hospital bed. It was a wake-up call, I had to stop and change cycling disciplines. 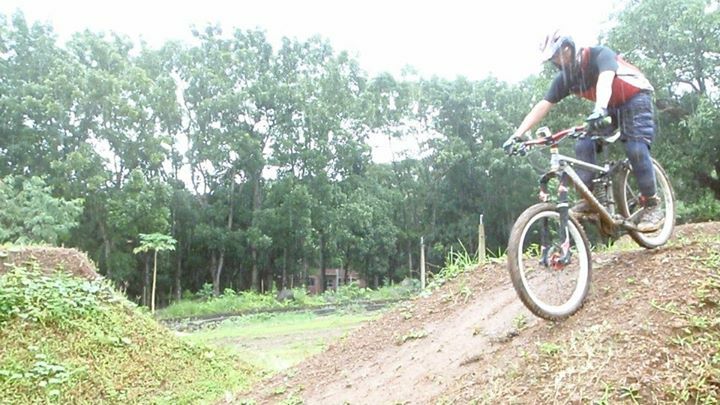 from long distance touring I went to all-mountain mountain biking. 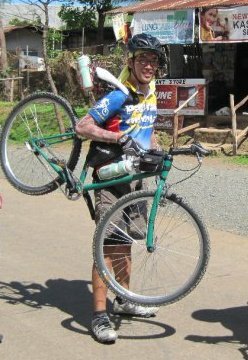 My last long distance multi-terrain touring ride was the Cabanatuan to Baler via Maria Aurora and Sierra Madre Mountain Ranges. It was an 80 kilometer ride with Team Ageless Warriors. 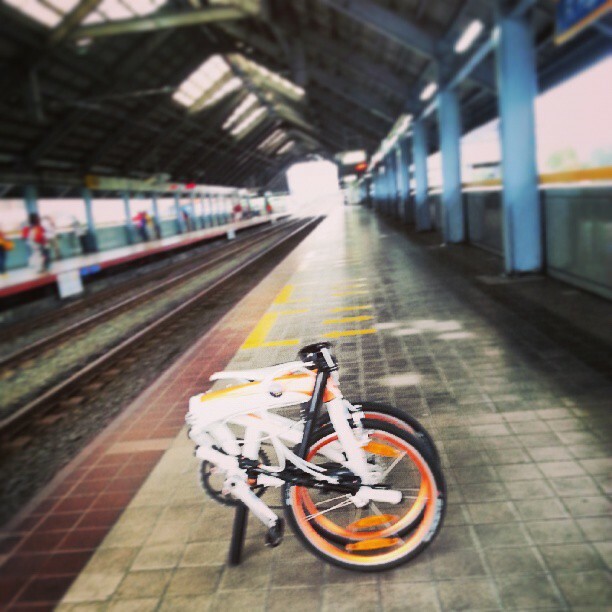 By the end of May 2012, I have been traveling with college friends, team mates from 43 Bikes and UST Gruppo Tomasino to different trails around the metro, within the metro and outside of the metro. 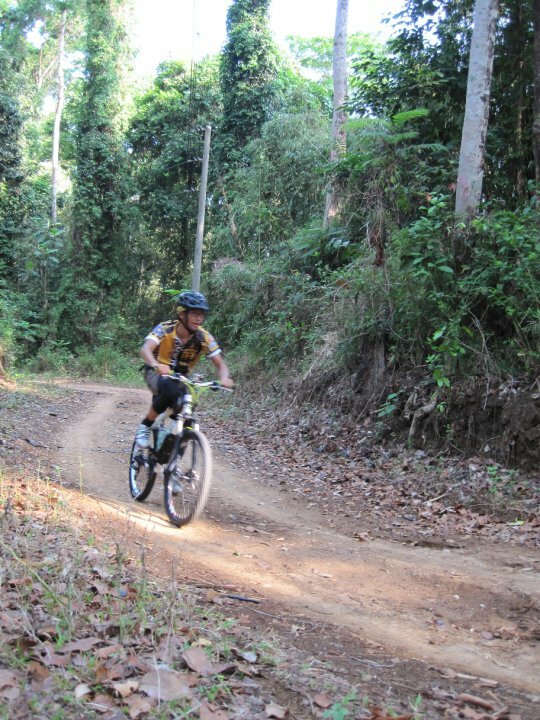 Cycling has been a means of exploration for me. Thought most of the rides I have been recently aren't long distance ones. I still hope to be able to get to travel and explore newer places. As of May 2017, my doctor has given me the go signal... long distance touring rides is a go. 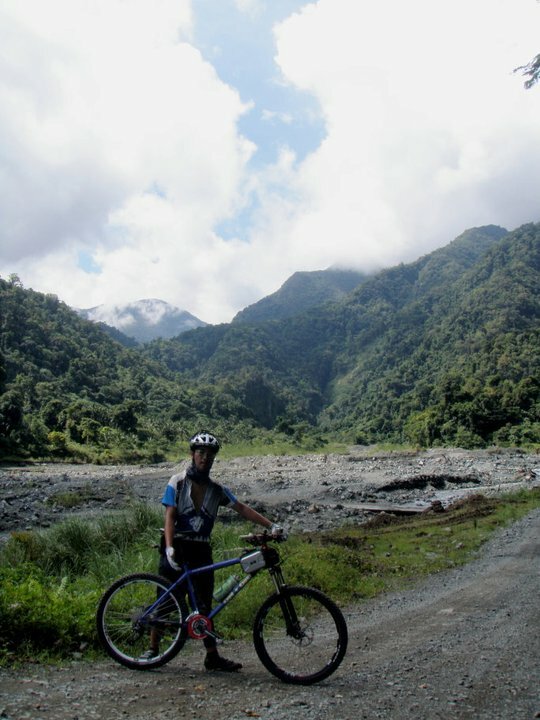 Currently I'm in New Zealand (since December 2018)... hopefully in the near future, I can go do a long-distance ride with the person I started biking with... my dad (whose in the Philippines). Another target is of course, to get my wife to try biking (got to make a good teaching program for her to balance properly). 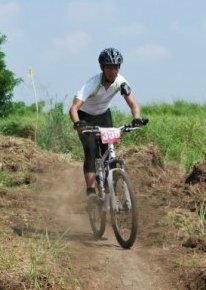 It's been roughly 10 years since I started mountain biking (and more than 30 years with cycling)... and still not giving up this sport that has brought me to places. The Culprit... for all those paint scratches. The Day has finally come... she flies! The truth behind my RA9262 case. 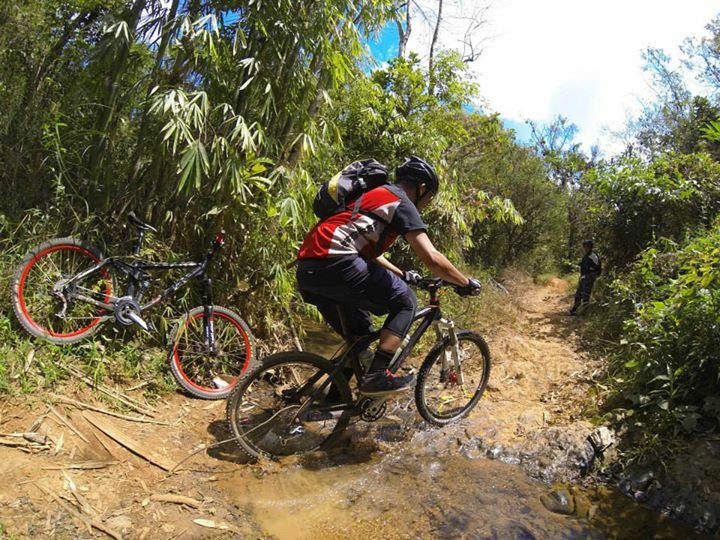 Padyak Adbentyur | Mountaing biking blog, pictures, road biking blog and pictures, philippine bike races, biking adventures, biking destinations, bike events, bike photos, biking travel tips.